Club captain Jeetan Patel has signed a one-year contract extension ahead of Warwickshire's opening County Championship fixture later this week. The 38-year-old is now enlisted for the 2020 season in addition to 2019. The New Zealander has been on the playing staff at Edgbaston for the previous seven seasons, claiming all domestic silverware on offer during his time at Edgbaston. 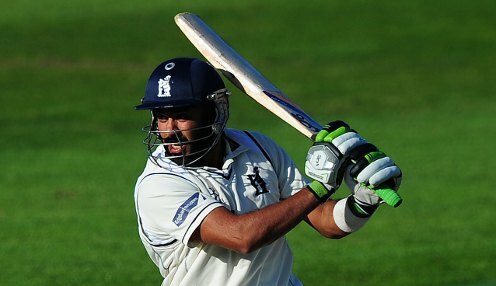 "Jeetan is one of the most decorated overseas players in the history of the county game and his commitment to playing all formats, across a full season for such a long time is extremely rare in the modern game," said Warwickshire head coach Jim Troughton. "He still consistently produces match-winning performances across all formats and has made a fantastic impression on the squad since being appointed captain. "As we approach our first Championship game of 2019, it's right that both the club and Jeetan have security over his future and have our captain signed beyond this season." Patel will lead the club in all formats this season following the retirement of former Black Caps team-mate Grant Elliott. Warwickshire - winners of the Division Two title under Patel's leadership in 2018 - return to the top flight with a home match against fellow new boys Kent starting this Thursday.